Author: H. Ekkehard Wolff. Series founded by: Johannes Lukas †. Series edited by: Hilke Meyer-Bahlburg, H. Ekkehard Wolff. 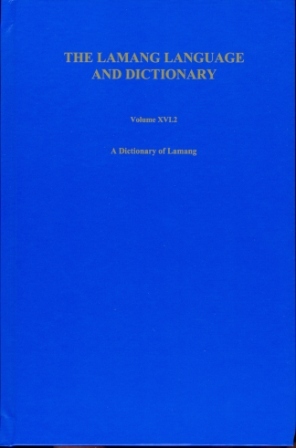 The two volumes of The Lamang Language and Dictionary complete a long-term documentation project on this Chadic language which is spoken in north-eastern Nigeria’s Borno and Adamawa States. The author began the research project in the late 1960s and continued to work on it, intermittently and with long periods of inactivity, until early 2014. The language belongs to the Central (also called Biu-Mandara) branch of the Chadic language family, which in turn is part of the Afroasiatic macro-family of languages. Based on figures of 1993, the population of speakers is given as 40,000 (www.ethnologue.com) but may be considerably higher by now. Its sociolinguistic status in terms of language vitality or endangerment is described as vigorous, meaning that the language is used for face-to-face communication by all generations and the situation is sustainable. With the two part volumes, a rich and linguistically exciting human language has been comprehensively documented and is thus saved from oblivion – hopefully also for a more immediate benefit to its speakers. Volume XVI.1 is a revised descriptive grammar with some elements of Lamang-Hdi comparative phonology and grammar (Chapter 3) and a comparative lexicon (Chapter 4). Hdi is Lamang’s closest sister language, spoken in and around Tourou (Turu) in adjacent parts of northern Cameroon. 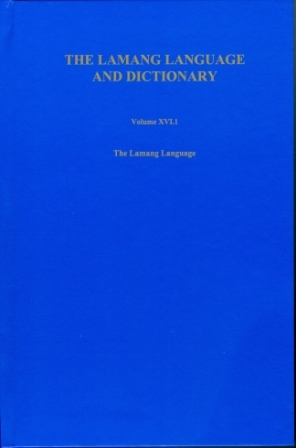 Volume XVI.2 contains a comprehensive Lamang-English dictionary based on the rich language corpus of natural discourse which was recorded in linguistic fieldwork between 1968 and 1974 and 1980-1982. It is complemented, in a second part, by an English-Lamang Reference List to identify corresponding lemmata in the dictionary. In 1994, the author published traditions and specimens of oral literature from Gwàɗ Làmàŋ speaking peoples, titled Our People’s Own (Ina Làmàŋ). The edition features full texts, including English translations and annotations (see under additional material). Both parts of this edition can be ordered separately, see the links below.